This is day 4 of 5 in our week-long series about selling in a Recession using the Four Trust Principles. Today’s principle is Principle 3—Focus on the medium-to-long term, not the short term. This implies a focus on relationships, not transactions. Even more than the other Trust Principles, this one is relevant to selling in recessions. On Day 1 we suggested that the right trust-based attitude in a recession is to remember that down cycles are only half the story—and the half in which trust is most indelibly created. All strong relationships live by the motto ”for richer and poorer, for better and worse…”—and the test of the relationship is rocky times. The time to harvest trust is in good times; the time to build it is now. You find out who your friends are when times are tough. You find out who really cares about you when they have to choose between self-serving and other-serving opportunities. And others find out how you make those choices. By choosing to defer self-aggrandizing activities in support of your customers—precisely when it’s hardest to do and takes the most courage—you increase your service to your customers the most, and earn their trust. 2. Pick your top 3 clients, and strategize internally on how you can strengthen your relationship for the long run. Then go discuss those plans with those three clients, telling them exactly what you’ve done, and why. 3. Help everyone you know who has been laid off – provide advice, contacts, and/or just listen. These are people who are potentially great customers down the road; but don’t do it for that reason, do it because you care. 4. If you’re a consulting organization, now is a great time to establish your alumni network. And if you already have one, kick up the level of involvement. Host cocktail parties in various locations. Establish or update the directory. Get your alumni an intranet page, or a devoted Facebook group or other aggregation. Facilitate their networking. 5. If you’re a lawyer or consultant and not using social media to connect with your clients, now is the time for this type of investment– build your network and help your clients build theirs. 6. If you are one of the many unfortunate individuals who has lost a job, don’t burn bridges in anger, hurt or frustration. You’re now selling you. Keep the long term in mind. Join the alumni network—or offer to help create one. Use social media. Begin networking ASAP. Leaders don’t like causing hardship—they prefer to help. How you act in the days after a layoff advertises your trustworthiness. 7. If a key customer is in the middle of an important job with you and they can’t afford for you to finish it, talk it over with them and offer to defer payment until such time as the customer can pay. That could be a long time. But if the relationship is good, this generous offer creates trust and greatly reduces the risk of nonpayment. And the cost of financing these days is very low. It doesn’t cost much to be generous; it lowers credit risk by creating trust and reciprocity; and showing a little faith and courage does wonders for the relationship. 9. If you offer a client a special "one off" deal, be clear about why you’re doing it. For any deal you craft now, imagine doing the same deal 100 times under similar circumstances. Would you? Would your client? If you didn’t answer “yes” to both, go back to the drawing board. Don’t worry about what you’re going to “get” in the near-term, or even from whom. It all works out in the end when we’re willing to do what’s right. And the end is what matters when we’re living this principle. 10. If you’re a leader, be prepared to lead in a most personal way. The month after 9/11, Koh Boon Hwee, then-chairman of Singapore Air, described the US airline industry’s reaction to the drop in travel: “they laid off huge numbers of employees.” By contrast, at Singapore Air, Koh took a massive pay cut; his direct reports took sizable hits; and everyone took a significant but smaller pay cut. He laid off no one. It’s no wonder that travelers, employees and shareholders alike are loyal to such companies. 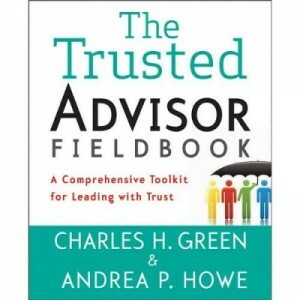 They live the trust principle of long-term focus, and are richly rewarded for it. 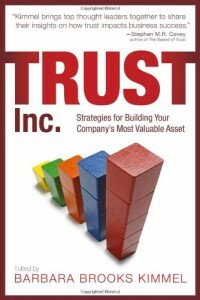 In a recession, selling based on trust principles is even more powerful. One of those principles is collaboration.